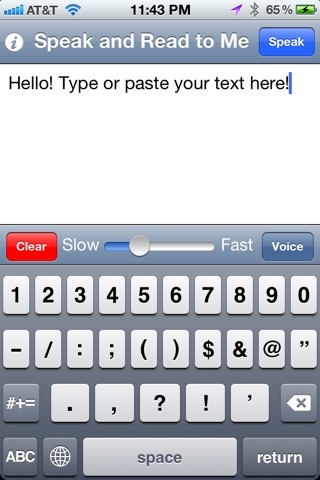 Make your iPhone, iPod touch, or iPad speak ANY text! Simply type or paste in your text and hit the Speak button! Other great features: - Select from many foreign voices! UK, US, french, spanish, and many more! - Change the speed of the speech from very slow to very very fast! Text to speech Powered by iSpeech®.